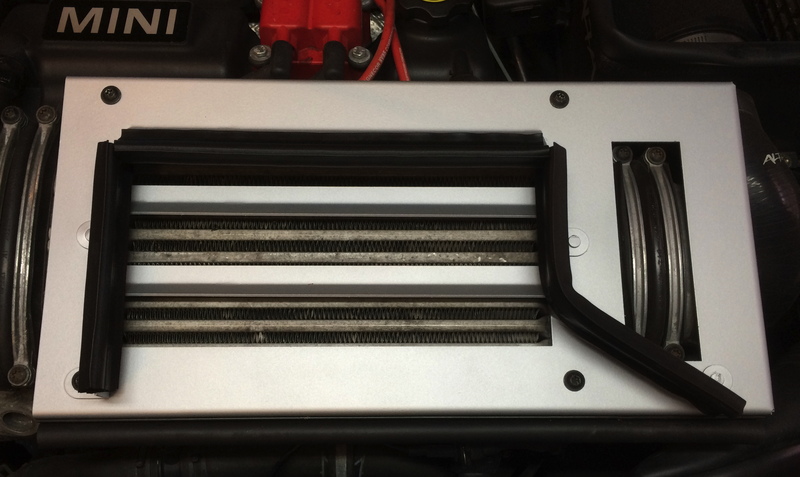 When observed from the front, a couple of things become obvious: some of the air entering the scoop misses the diverter entirely and a good quarter of the airflow hits the leading edge and presumably drops down the front of the engine rather than through the intercooler. 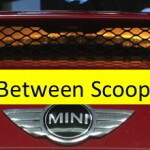 What’s needed is about a 1.5 inch extension to the lower edge of the scoop. 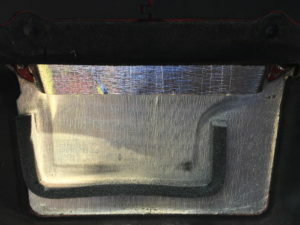 We cut some material to size, formed it to shape, and then attached it using sticky heat shielding material. When seen from the front on the bench, you can see how much further the lower edge extends toward the IC diverter. 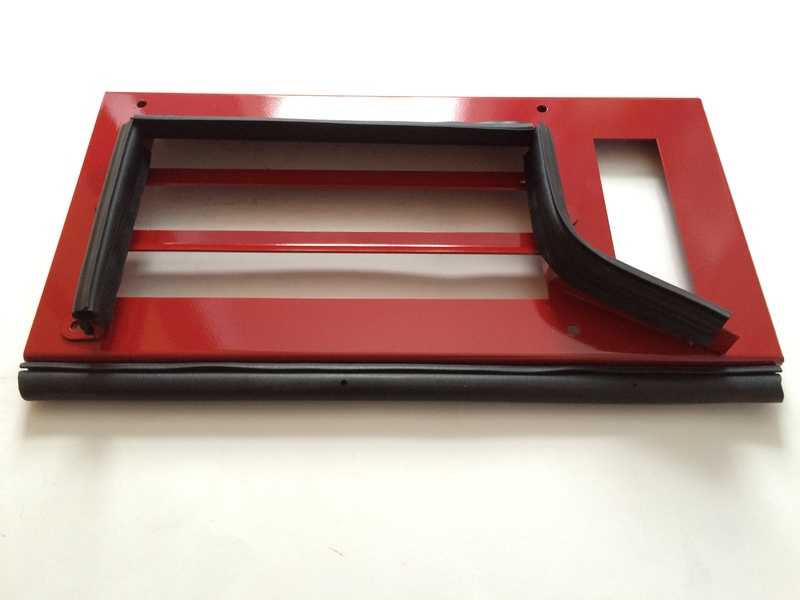 Once mounted on the hood, you can see how the extension lines up with the marks on the hood from the diverter. We did some test fitting and ended up blocking the last two inches on the driver’s side to force the airflow into the IC diverter channel. Now we just need to go for a test drive and see if it rattles at all since the heat-shield covered extension is now resting on the top edge of the IC mounted diverter. 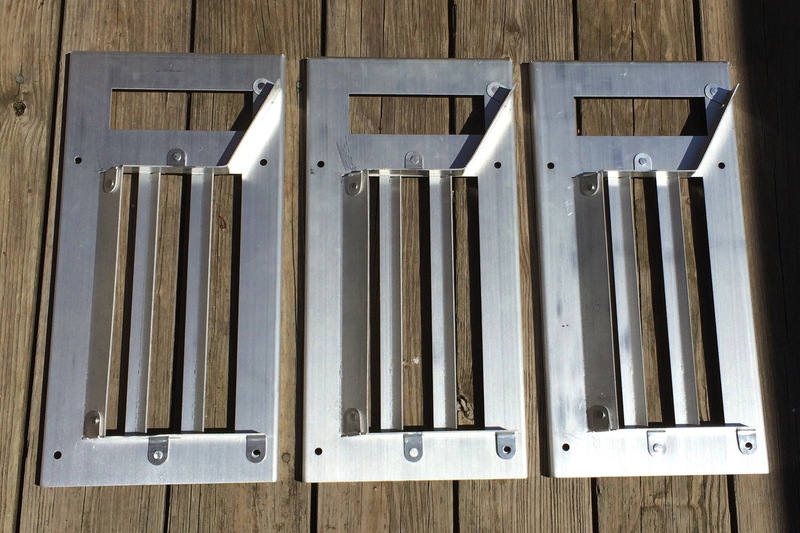 We managed to get the first five pre-production diverters completed this weekend. Three went out to our beta testers; one is on the test-mule; and the other one we just don’t talk about. 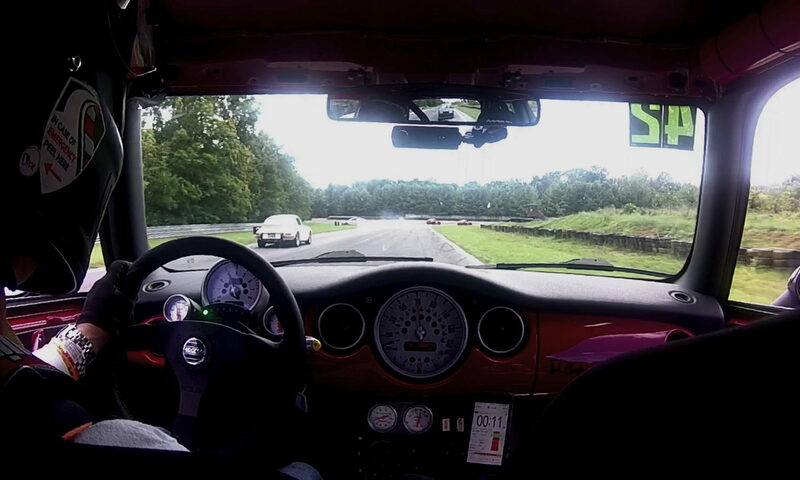 The photo at the top of the post is the one on the GeorgeCo MINI. Here are the three beta units before two were painted. I actually like it in bare aluminum. With all of the hammer and machining marks, it has a rat-rod feel to it, but it also really looks great when painted. Once we get some feedback on how they perform, we’ll be ready to go into production. 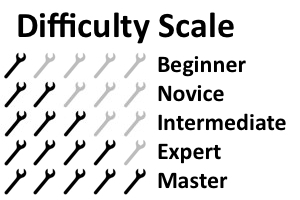 Installation of this kit has been assessed as very easy, but should be performed by individuals familiar with the MINI engine. 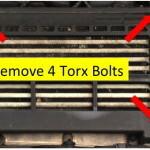 Remove the four Torx bolts as shown in photo to remove the stock diverter. 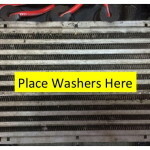 Place the two washers as shown in the photo. 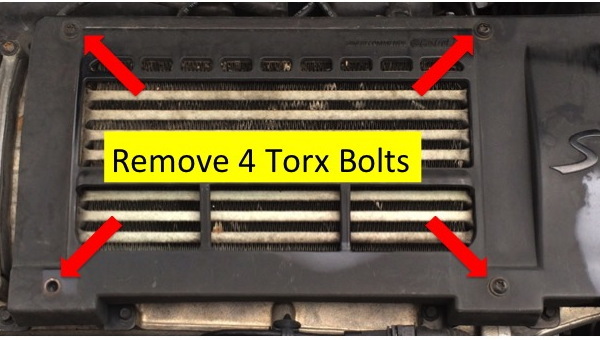 Install new diverter using the stock Torx bolts and tighten hand tight. 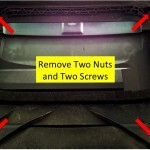 Reinstall the two 8mm nuts and tighten hand tight (do not over-tighten or you will break the hood scoop.) 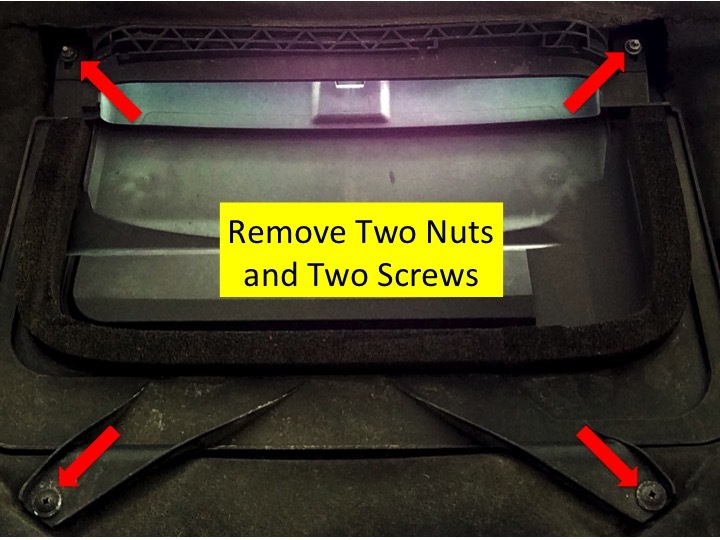 Do not reinstall the stock hood diverter, but do replace the two screws to hold the stock hood-liner in place. Close but do not latch the hood. 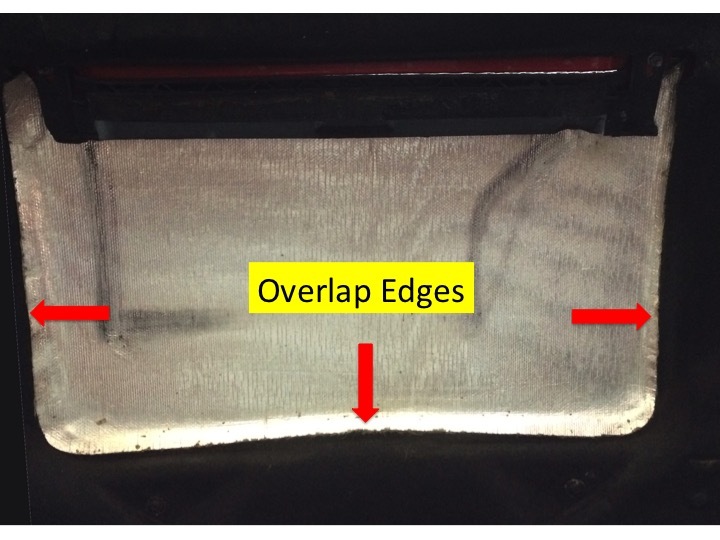 Check fit of hood scoop to diverter by carefully running a finger along the inside edge of the scoop. If there are no clearance problems, fully latch the hood. 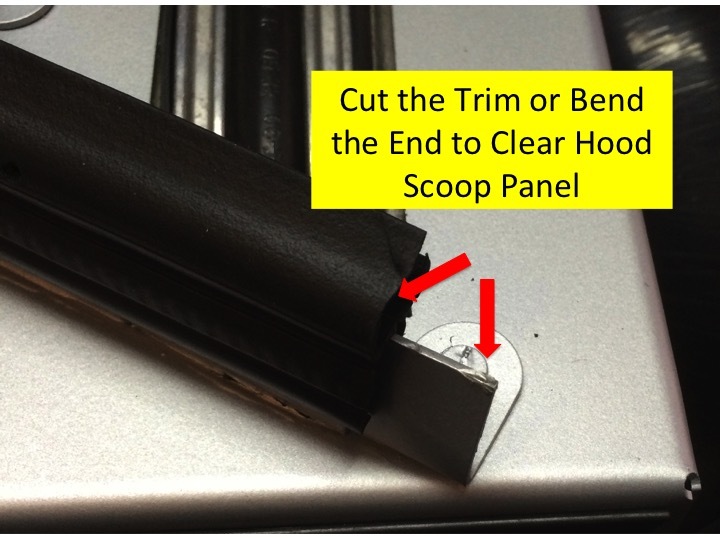 If the diverter contacts the hood scoop, carefully bend the diverter or cut the trim to clear the inside edge of the scoop. 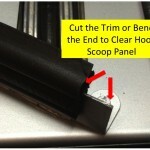 These optional steps require use of a Dremel cutting wheel and modifying the stock hood diverter. Eye protection required. Proceed at your own risk. Thermo-Tec Adhesive Backed Heat Barrier, 19×12 in. Follow instructions above through step 4. 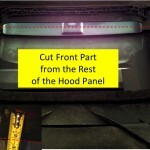 Trim a piece of Thermo-Tech Heat Barrier to cover the exposed under-side of your hood, cutting it to overlap the hood-liner by 1/2 to 3/4 of an inch all around. 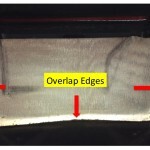 Use the scoop to trace the shape of the grille to be cut on a piece of cardboard. 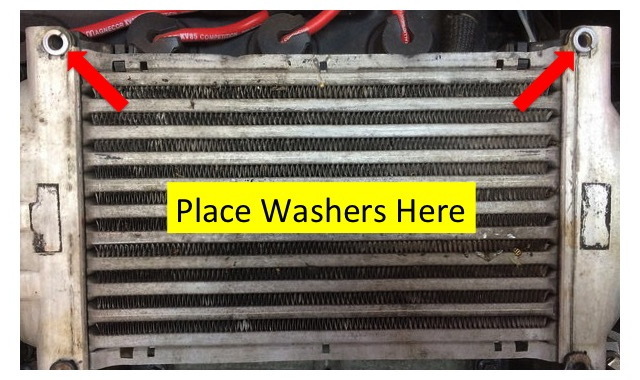 Cut the grille from a piece of Gutter Guard (or other wire mesh) approximately 1/8 inch larger than the size you traced and trim to fit. Use black spray paint to retard rust. Sandwich the grille between the scoop and panel by reattaching the panel with the two 8 mm nuts. Do not over tighten or you will break the scoop. 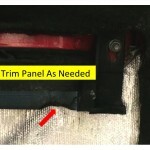 Replace the two screws to hold the stock hood-liner in place. 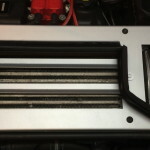 Use chalk to mark the last inch of the diverter trim on each side where it will touch the hood panel. 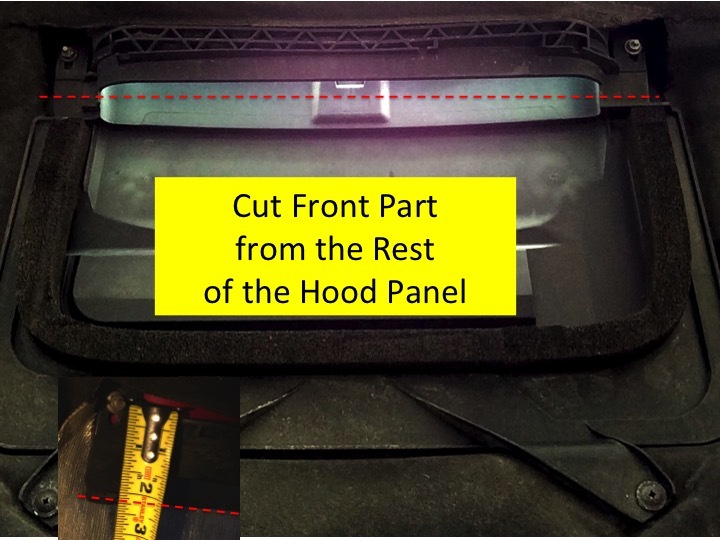 Close but do not latch the hood and look through the scoop with a flashlight to see if the panel is touching the ends of the diverter. Open hood and check for chalk marks on the hood panel. 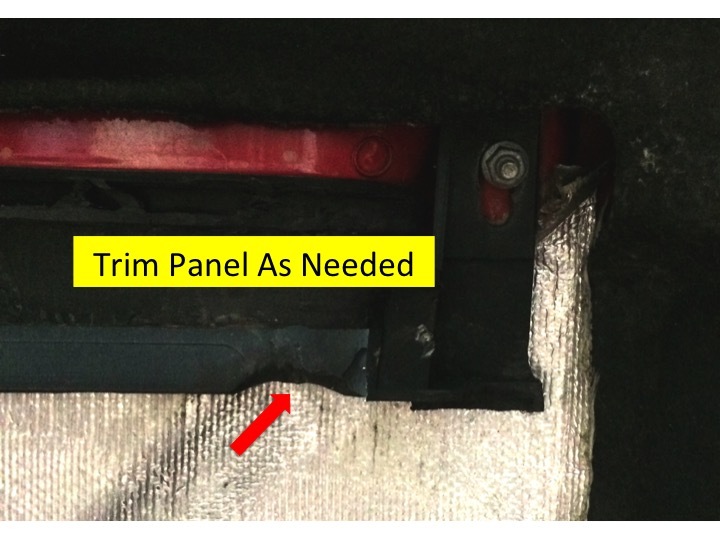 It may be necessary to trim the panel or bend the end of the diverter and/or cut the trim to avoid contacting the hood panel.